I am a Professor of Communication at North Central College where I teach courses in media studies, urban and suburban studies, and liberal studies. My intellectual interests are eclectic and wide-ranging: film, news and journalism, media history, media reform activism, philosophy and social theory, urban history, contemporary American politics, social movements, the list could go on and on. Most of the courses I teach reflect at least some of these interests and typically adopt a critical, interdisciplinary perspective informed by history, political economy and social and cultural theory. For a full list of the courses I teach, please click here. Outside the classroom, I am actively involved in AAUP (the American Association of University Professors) and in various movements for social justice. I'm currently pursuing two interrelated research projects dealing with Chicago media history. For the past seven or eight years, I have been working on a book-length critical history of the Chicago news media tentatively titled News For a Divided Metropolis. Drawing on the research for the book, in the summer of 2008 I wrote some articles with my student research assistant Alyssa Vincent about the underground press scene in Chicago during the late 60s, early 70s that were published in the special 1968 issue of the excellent local arts and activism zine, AREA Chicago. More recently, an essay of mine on The Chicago Journalism Review-- a magazine started by reporters who had had their heads bashed in covering the protests at the 1968 Democratic National Convention in Chicago-- was published in Janice Peck and Inger Stole's collection A Moment of Danger: Critical Studies in US Communication History Since World War II (Marquette U Press, 2011). The other main focus of my current research is the strange and little-known history of film censorship in Chicago. In the summer of 2014, my former student research assistant Brian Failing and I co-curated an exhibition at the Museums at Lisle Station Park based on some of this research. 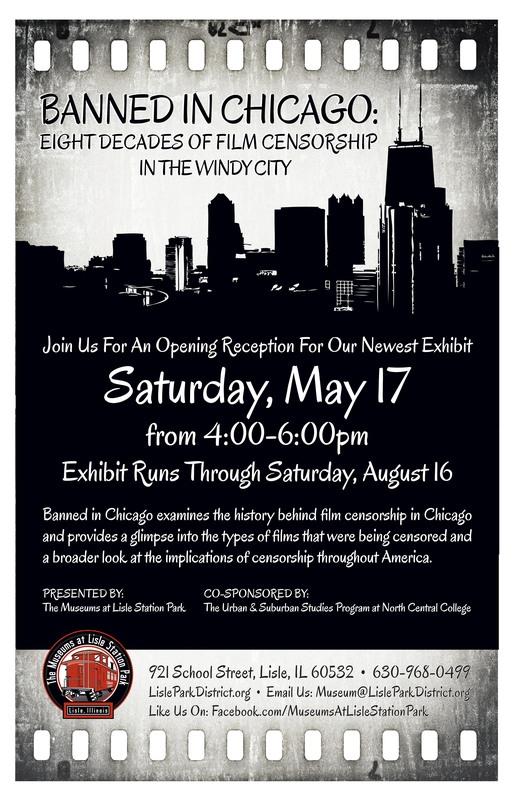 Entitled "Banned in Chicago: Eight Decades of Film Censorship in the Windy City," the show featured photos of the "cards" filled out by the city's censor board for each film they reviewed as well as reproductions of posters for some of the hundreds of films they banned. The exhibit garnered quite a bit of attention in the local press, including coverage on Chicago Public Radio and in the Chicago Tribune. I am currently writing a book on the topic. Up until a few years ago, my research and writing focused on media representations of American cities and the urban poor. My book on the subject, Urban Nightmares: The Media, the Right and the Moral Panic over the City, was published by University of Minnesota Press in May, 2006. You can see a video of me discussing the book -- produced by Chicago's own Labor Beat TV-- here. If you can read Italian, check out the 2008 interview with me about the book in the magazine Carta. 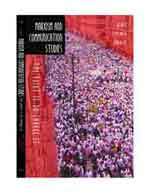 Winner of the Urban Communication Foundation's 2006 Jane Jacobs Publication Award. I have long been interested in classical and Western Marxist critiques of the capitalist media. 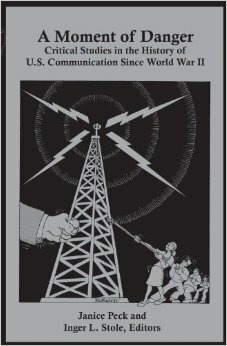 Over the years, I've been active in organizing panels, workshops and forums on Marxist communication research, its strengths and shortcomings, and its relationship to other critical approaches and schools of thought (poststructuralism, feminism, liberal humanism, media ecology, "positivist" media research etc.). In 2006, I contributed to and (with Lee Artz and Dana Cloud) co-edited a volume on historical materialism and critical communication scholarship, Marxism and Communication Studies: The Point is to Change It (Peter Lang) that deals in depth with these issues. I've also done some research on TV news coverage of dissident political movements and on various media policy issues. In 2003 and 2004 I helped to design and carry out Chicago Media Action's study of bias and sourcing on WTTW's news show Chicago Tonight. I am an active participant in the media reform/media democracy movement, in particular the local group Chicago Media Action. At the 2008 National Conference for Media Reform, I chaired a panel entitled "Organizing Locally at the Grassroots" which featured representatives from Reclaim the Media, Twin Cities Media Alliance, Media Alliance and The Media Mobilizing Project. In January 2007, I put together a panel on "How to Challenge a Broadcast License" at the National Conference for Media Reform in Memphis whichhttp://shmacek.faculty.noctrl.edu/Courses/coursespage.htm included speakers from Chicago Media Action, Iowans for Better Local TV, Youth Media Council and Georgetown University's Institute for Public Representation. At the 2005 NMRC in St. Louis, I organized an "Action Clinic" on media monitoring that featured speakers from Chicago Media Action, Grade the News and the Grand Rapids Institute for Information Democracy (click on the logo below for more information about the conference itself).